Having had some terrible runs of late I was actually a little nervous in the run up to this race, you see back in 2016, Roding Valley Half Marathon was the first half I had ever run, it was part of training in preparation for running the London Marathon. I had no idea what a fast time was, an average time was or indeed a slow time was. My good friend Gary, the man responsible for the crazy idea of running a Marathon was also running and he told me if I could get it done in under two hours then I should be happy. I remember creeping in just under 2hrs, something like 1:59 I believe! I was over the moon to have achieved what at the time I had deemed a fast time, I had completed the Roding Valley Half Marathon in under two hours, and that included two stops to pee…I hadn’t quite figured out the whole not having to pee lots during a run thing back then. This became quite comical as I even had to stop to pee on a 5k, I should have run in Tena for men really. 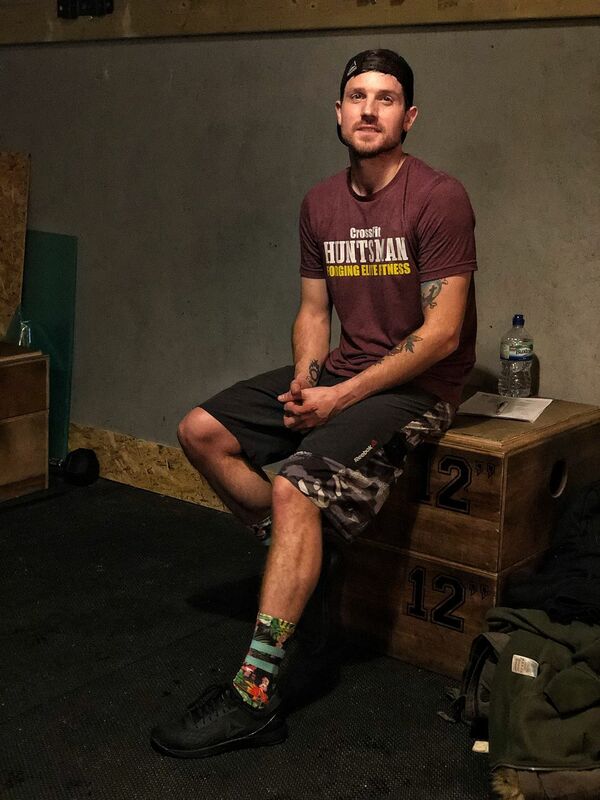 The nerves had kicked in due to my body still aching from tackling the Crossfit Games Open workout 18.1 three days before on the Friday, and I was mentally a bit run down too. I had planned to get some extra miles in before the race but due to not feeling anywhere near top form I decided to just stick to running the race. Would I go into the race with some sort of agenda or not? Do I race it or just get it done? Well due to the fact I am nowhere near PB shape and have been having terrible training runs lately, I decided to just head there with no plan, nothing. Just start the race and take it step by step, if I felt strong I would push but equally if I felt rough I would reign it in and just run it out. I headed up with George, getting there just in time to meet some more of the amazing Instafam, Becki, Chris and Derrick. In conversation about plans for the race George mentioned the dreaded word “Casual”, you see whenever she mentions the word casual she ends up with one of those beautiful things called an ‘Accidental PB’. From then I felt it was my duty to try and pace her to a PB, she is just as fast as me if not faster, but she doesn’t believe she is, to which she doesn’t push to get those times that I feel are easily achievable for her. It was freezing, so we hid in the equipment shed by the side of the track until the last minute, and as we started the race the course was super narrow so you had no choice but to run it real slow until we got out into the main roads. As soon as we had space to move, we went rogue and ran in the road even though Roding Valley Half Marathon isn’t a closed road race there was barely any traffic so it felt right to go rogue. We picked up some good pace, going from 8:21/mile when we started out in the bottle neck and tackling the first mile, moving to a second mile time of 7:18/mile. Although it didn’t feel amazing as I was running tired, it felt comfortably uncomfortable. Roding Valley Half Marathon isn’t a flat course at all, so to be picking up sub 8 minute miles when feeling the way I did I was more than happy so decided to keep on pushing, George looked strong every time I glanced over so I knew she was fine with the pace, she has an amazing ability to fully empty the tank and run strong until the last minute, a real fighter. We managed to get to the end of mile 7 still maintaining sub 8 minute miles, at this point I knew we were on for a PB for George, now it was a matter of how much time we could knock off her PB of 1:49, my plan for the upcoming Reading Half Marathon was always to pace her to 1:45, but why wait. So I decided that we were going for it, Roding Half Marathon was about to get owned by us! Time to bring it home, we dropped off the pace a little hitting three miles at just over 8:00/mile until mile 10 when we kicked it back up a notch and swiftly took it back under 8. This was our moment, time to get it DONE! As we approached the end of the race, which takes you back onto the track for a final 150m section where it all began, by this point George was starting to fatigue and her tank was on empty but she was still pushing, you could see everything was on the line here. I may or may not have yelled a little here, it was time to get those last strides in and PB the hell out of Roding Valley Half Marathon. I was ecstatic to see that once we had crossed the line I had managed to pace her to a brand new PB, beating our target for Reading Half marathon of 1:45 and bringing it home in a fantastic time of 1:42:09! I didn’t run it in 2017 but after enjoying it so much I will be back for more in 2019, maybe I can get sub 1:40 then….